Pugh, Surgeon Captain P.D. Gordon. Assisted by Margery Pugh. Included in this volume: Portrait Figures, Busts and Medallions, Commemorative and Decorative Pieces and Useful Wares. The Ceramic Book Co., Newport 1971. 1st Ed. 4to. xxvi + 114pp. Over 400 examples illustrated in 131 plates including 13 cold. Original gilt lettered blue cloth with gilt anchor device to upper board, light watermarking to top edge of upper board. 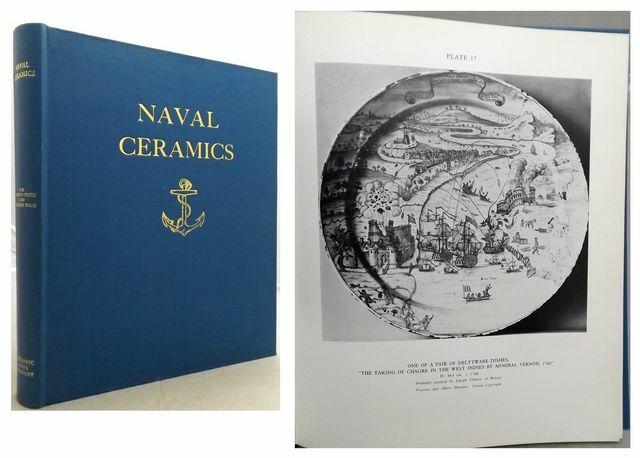 Covers both commemorative figures of naval heroes and the china and crockery used in naval messes and hospitals.